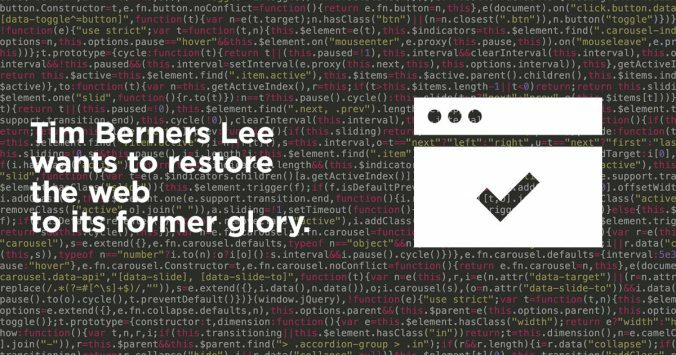 March 30, 2018 / Rachel / Comments Off on Tim Berners Lee wants to restore the web to its former glory. Tim Berners Lee has repeatedly expressed his disappointment regarding the worldwide web’s evolution, segmented in silos and proprietary platforms, at odds with the philosophy of his pioneers. Twenty-nine years after the advent of the worldwide web, a time when more than half of the world’s population can get connected to the Internet, Tim Berners Lee just shared in the pages of the British newspaper, The Guardian, an open letter where he is worried about the use of the web as a tool for malicious purposes. 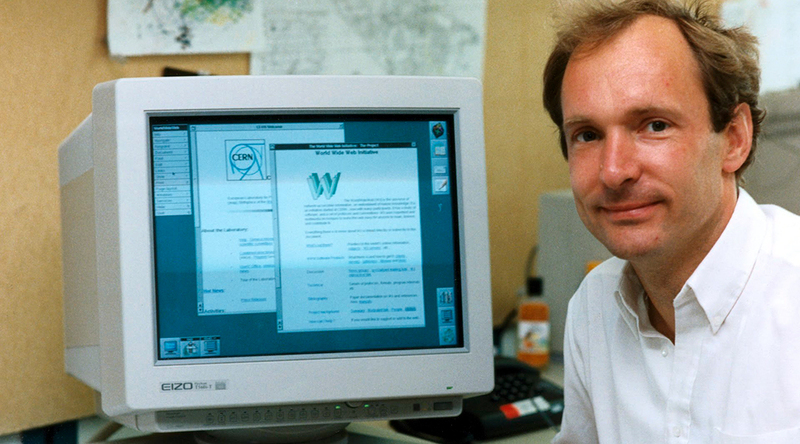 Tim Berners Lee, inventor of the worldwide web. For a few years now, we have been witnessing an accelerated concentration of revenues and thus power at the benefit of a handful of actors, the GAFAM (Google, Apple, Facebook, Amazon, Microsoft), to which we could add Twitter. Facebook has become a sort of proprietary Internet for many users today, it’s the quasi-exclusive ground of their online experience, with the drifts we know, amplified by the widely documented phenomenon of the Filter Bubble ( Filter Bubble). For many, Amazon has become the preferred destination when it comes to making an online purchase, thus they often impose tense conditions on their suppliers / partners. While Google, through its various products (Search, Maps, Chrome, …) is now an undisputed leader in many sectors, often enjoying a situation of quasi-monopoly. Tim Berners Lee, without being fatalistic, has been investing since 2016 in a new major project, in collaboration with MIT, trying to bring a solution to the hyper concentration of personal data in the hands of an oligopoly. “Solid”– The name of this new project which is led by the founder of WWW- is a protocol that aims to give back to each user the control of his data, in addition to the worldwide web’s existing infrastructure. Solid is an ambitious initiative, made possible by recent developments in the cloud, especially in the decentralization of data storage. We recently mentioned the possibility for a browser to become the hub for sharing identity online, completely independent of proprietary platforms. This is the spirit behind Solid. Its designers are also considering giving users the ability to host their own data on a personal cloud. Each individual profile would be detached from the applications, thus avoiding the “lock in” phenomenon from which the hegemonic stakeholders of the hyper centralized web made the fortune. Tim Berners wants to sweep away two popular misconceptions which he believes are the main obstacles to change: the myth (firmly anchored) that advertisement is the only economic option for many web stakeholders and the convenient excuse that it is too late to drastically change the way the mastodons of the web work. All the deviations that we deplore according to him are only computer bugs hitting softwares created by man, which can be corrected, provided we want it and devote the necessary energy. Reviving innovation in order to connect the whole of humanity to the WWW in the spirit of openness which the designers of this outstanding sharing and discovery tool had is an urgent need. It is still time to save the Web from the torments of exploitation and to restore it to its former glory. Let us come together to achieve this!